July 28, Closing-night reception, 6-7:30pm: Enjoy a live performance by Mano Kane, plus food from Da Spot, beer and wine for purchase. $15, $12 museum members. Directed by Bud Browne. USA, 1963. 73 mins. 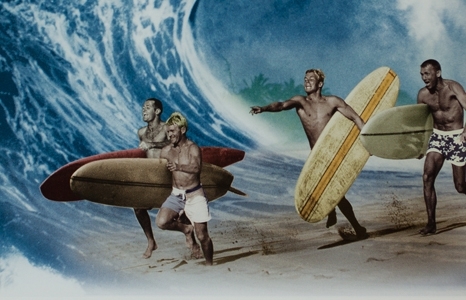 Special guests: Following the 7:30pm screening, Anna Trent Moore, of the Bud Browne Film Archives, leads a panel discussion with Hawai‘i surf luminaries Peter Cole, Ricky Grigg, Kimo Hollinger and big wave surfer Gavin Sutherland (son of legendary surfer Jock Sutherland).